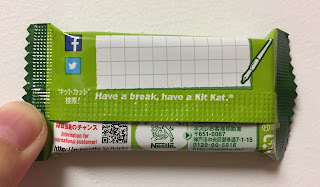 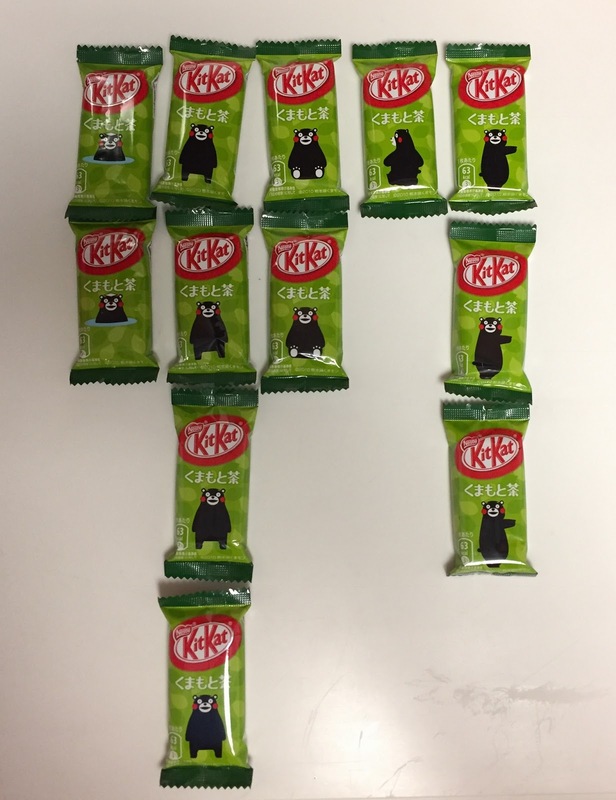 KitKat Mini Kumamotocha was launched on November 21, 2016 in Kyushu and Okinawa areas, but my husband found this at Narita Airport. 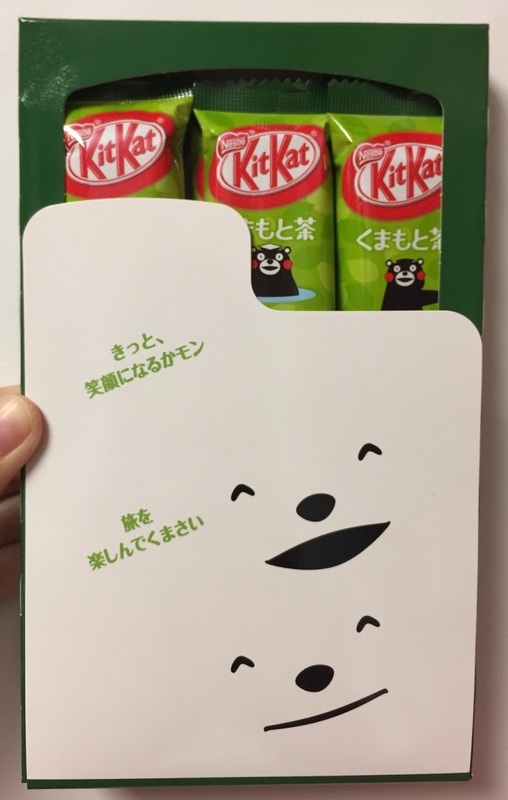 On the left top, it says, "Let's support Kumamoto prefecture, in Kyushu!" and they'll donate 20 yen to Kumamoto Earthquake Disaster Reconstruction per box. 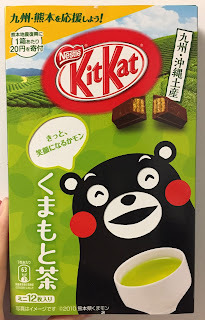 I think it's a lie down Kumamon's back. 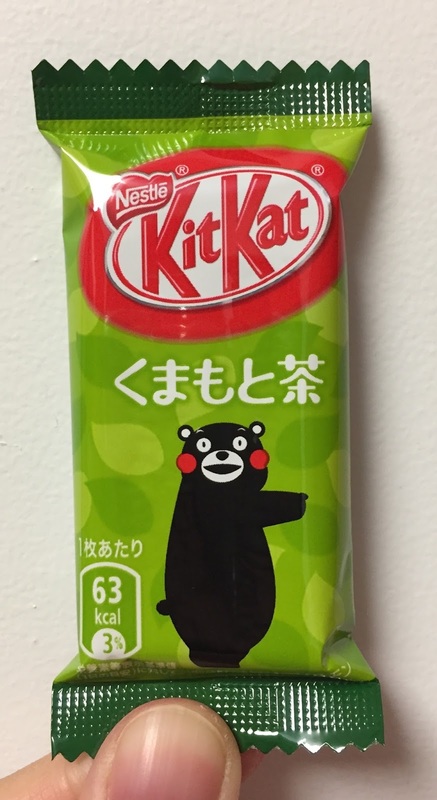 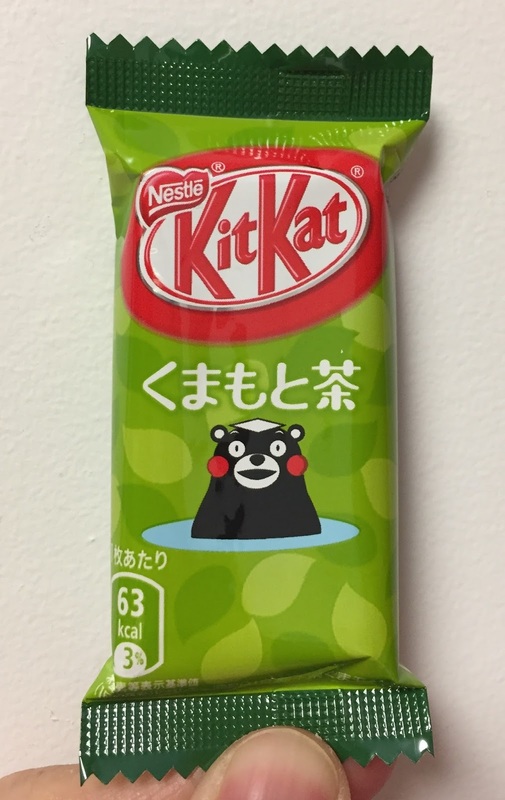 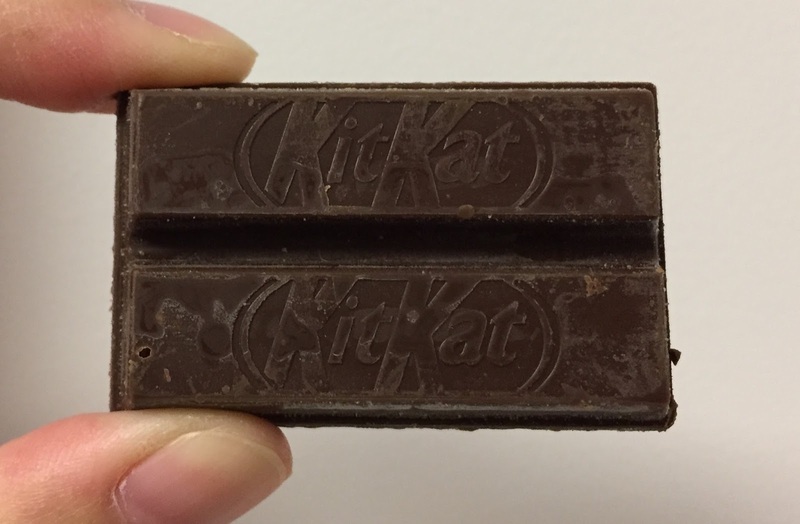 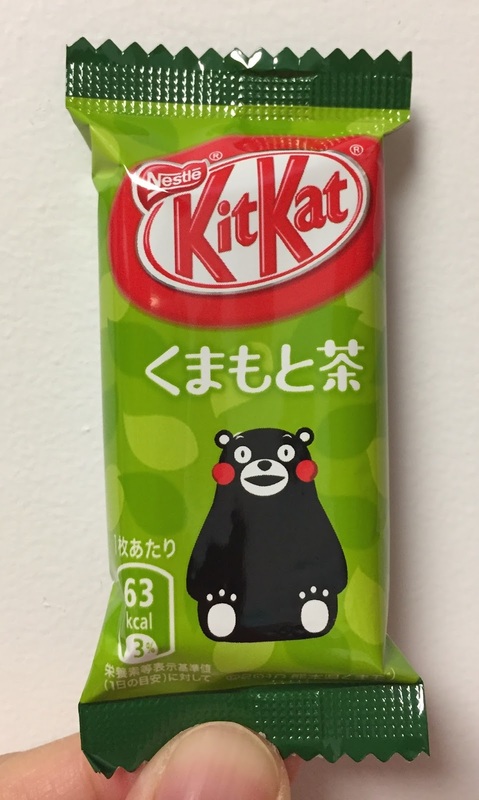 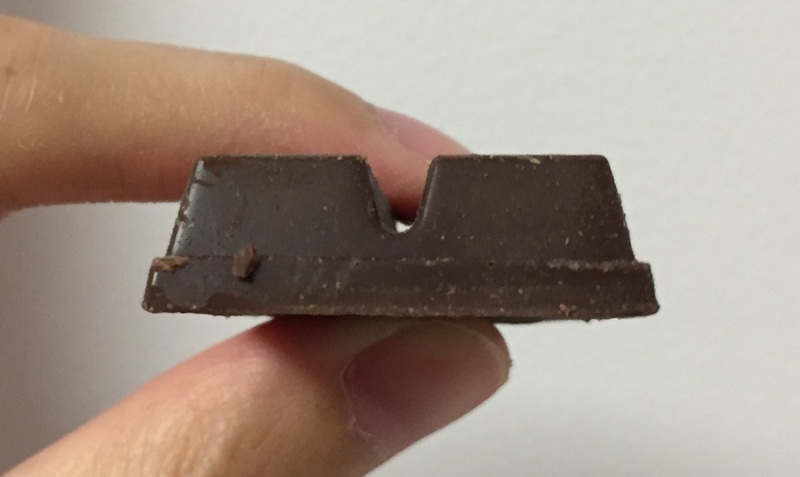 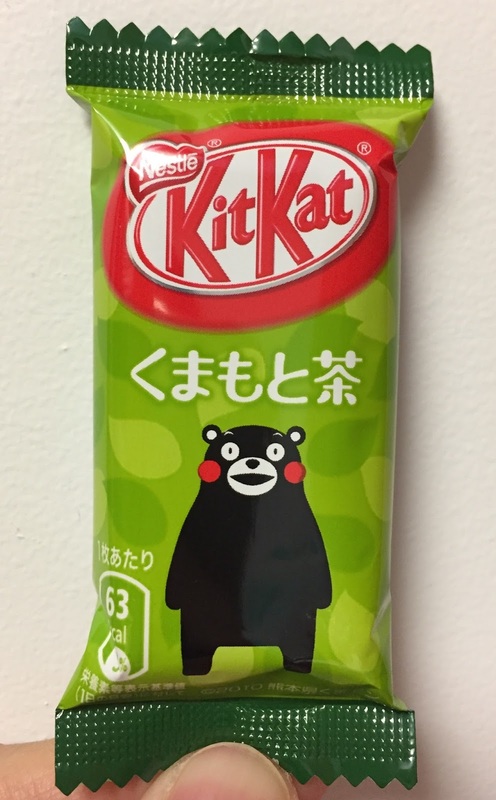 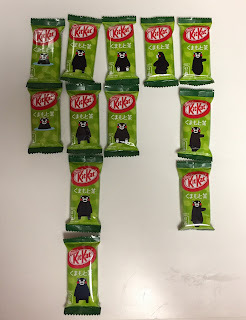 "Kumamotocha," loved by Kumamoto locals, and "KitKat" have collaborated. 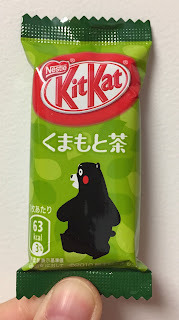 Carefully selected "Kumamotocha" flavor is wrapped in flavorful bitter chocolate. 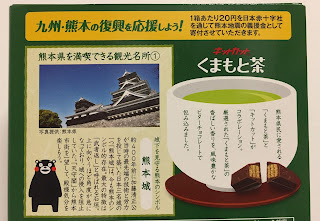 The castle is called Kumamoto Jo Castle, and it's one of the famous tourist meccas. 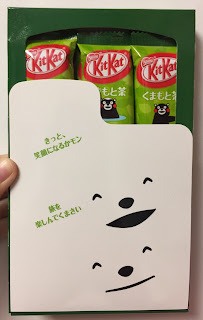 When I removed the sleeve, there's another face and phrase, which says, "Please enjoy your trip" with smile. 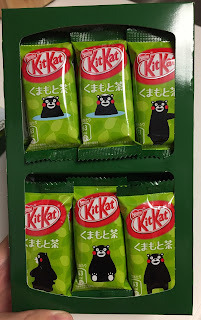 There're 2 pouches and 5 kinds of patterns. Kumamon in Onsen (hot spring). 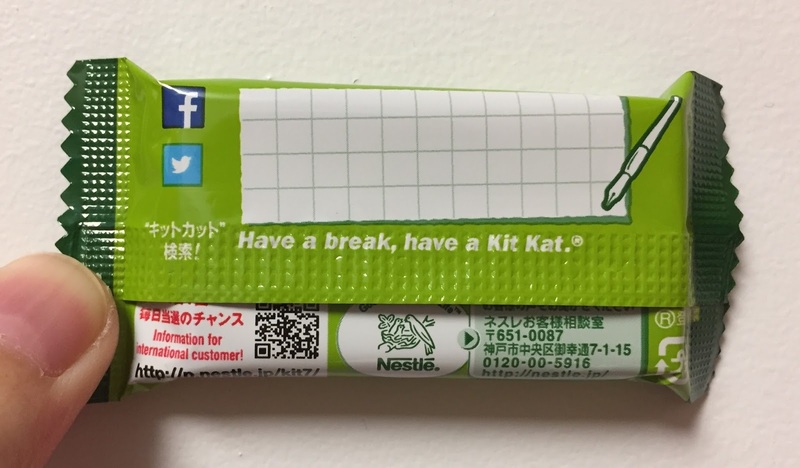 On the back, there's a space to write messages. I often don't read the packages but rather take photos of the outside quickly before trying the contents, and I was surprised to see such a dark chocolate. 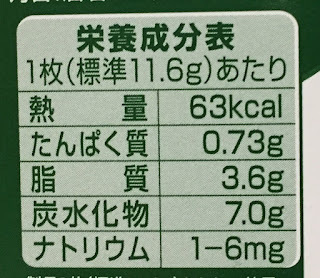 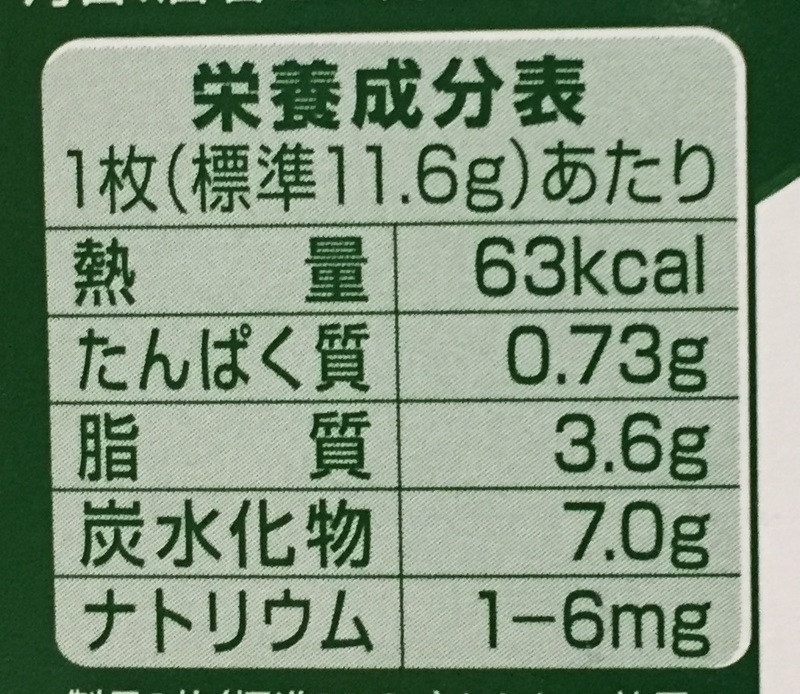 It's because I thought it'd be green colored chocolate like Matcha when I read the flavor, Kumamotocha. 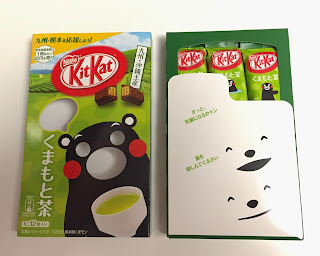 Between crispy and light wafers, there're some layers of Kumamotocha flavored chocolate, but the dark chocolate was too strong to let the tea flavor pronounce, and only a subtle amount of tea flavor was left in my mouth and nose. Big Little Kumamoto Tea was much tastier.